Do you want to learn how to save money while RVing? 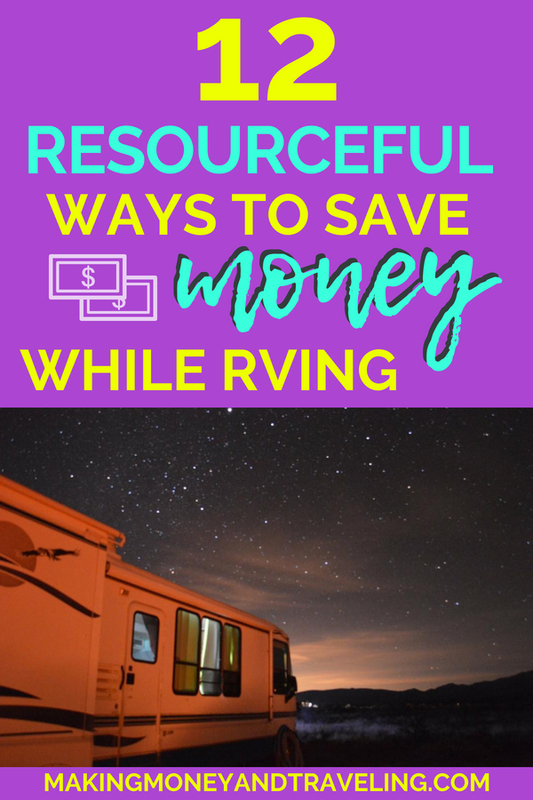 For a lot of us full-time RVers, living and traveling full-time in an RV is a cheaper lifestyle than our previous lives living in houses or apartments, and this is because we have learned to save as much money as possible while RVing! For myself and my partner, we have had entire months where we spent $25 or less on TOTAL living-related expenses. That’s a $2000 savings on what we were paying in our apartment and utilities! When you’re saving that kind of money, it’s easy to pay off debt and build up your savings. Also, you get to see new places while doing it… What could be better?! This article ended up being a LOT longer than I intended it to be, but I wanted to be really thorough and provide my readers with the best, most comprehensive info I could possibly muster about how to save money while RVing! If you’re pressed for time, jump right to the section you want to know about – and pin this article so you can come back to it later! 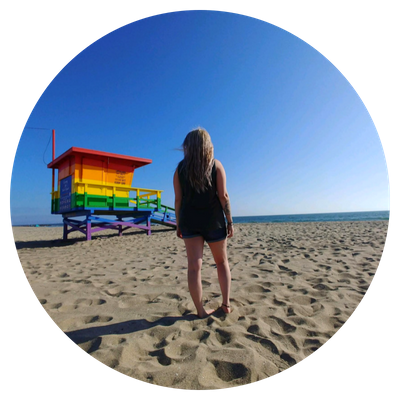 Allstays.com – On Allstays, select the “Camping” tab and whatever state you will be looking in. Then select the big button at the top that says “STATENAME CAMPGROUNDS MAP”. You can then zoom into the locations you will be in, and whenever you click on a little tent icon it will usually show you the price range of that campground. I like to take it one step further and make a list of all the campgrounds and google or call them to find out their true rates. If you use the website, it’s free. The app is around $10. Google – Never underestimate the almighty power of the biggest search engine on the net! You’ll often find campgrounds in a location that have no website – but usually, a phone number is listed. Call them up and get their rates, it may surprise you! Passport America and Escapees – You’ll learn more about these resources later in this article, but they both have search functions for campgrounds in an area that you can get crazy discounts for if you are a member of their services. Visiting popular locations during the off-season is a surefire way to save money while RVing. While I can’t personally say that this is what I do (I go where the good weather goes!) I can say that you will find that pretty much everything is cheaper in the off-season. Attractions, hotels, RV parks… Everything. Florida’s off-season is in the summer, the Pacific Northwest’s off-season is in the winter, so on and so forth. For me, I travel during the ON-season because I save so much money on heating and cooling! Camping off-grid, aka boondocking is my NUMBER ONE favorite way of saving money while RVing. It’s the most freeing thing in the world! In fact, during our very first month of boondocking, we only paid $25 TOTAL for RV related expenses. And that was just so we could dump the tanks! I probably could have found free or cheaper dumping somewhere, but this spot was most convenient. To be a successful boondocker there is a lot of preparation, but it pays off big time! Most RVs are already self-contained, which means you will already be able to boondock for 3-5 days at a time if you’re smart about conserving your resources. However, if you want to go all out like us, you’re going to need some additional equipment! We installed a solar power setup so we could keep our devices and RV batteries charged up indefinitely. This may sound intimidating, but I knew literally ZERO about batteries, solar power, and electricity but I set it all up myself with the help of YouTube and some RV Forums on Facebook. It’s not pretty, but it does the job and I did it myself! We purchased this 200 Watt Renogy Solar Kit and This 1000 Watt Renogy Pure Sine Inverter – I spent many months researching and found it to be the best value and price for what we wanted. We also installed this Composting Toilet from Natures Head. It took us several months to save up for this baby, but it was worth it! We are now able to use our black tank to store extra gray water and we can go 2 weeks or longer without needing to dump. Also, I haven’t dumped or smelled raw sewage in almost a year. It’s incredible! Never going back. All over the US, particularly in the Western portion, there is BLM and National Forest land where you can camp for free for up to 14 days before you need to move to another spot. We stayed in Sedona, Arizona for over a month by bouncing between 2 BLM dispersed camping areas. It was my favorite camping experience to date. Whether at a campground or boondocking, camping longer in 1 place is going to save you money while RVing in multiple ways. First – gas. The longer you stay somewhere, the less you’re spending on gas in that time period. Second – When you bundle nights at most campgrounds, you’ll get a discount. You will often see discounted weekly and monthly rates, or stay 6 nights get 1 free and other deals like that. Campgrounds make most of their money charging ridiculous overnight fees to travelers, but if you can stay longer to save some money, you should! This should be a no-brainer, but it needs to be said. Cooking at camp, just like cooking at home, saves you SO MUCH MONEY compared to eating out. It can be really hard to not want to go and eat at all the cool restaurants in a new place, but if you want to do this RV thing frugally, you gotta think frugal! Treating yourself to a night out at a restaurant every now and then is not a big deal, but eating out every night really adds up. I’ve been there… I hate cooking in our tiny RV kitchen (and in general) and I also loathe doing dishes… But I do it! In states like Texas, avoiding toll roads in the bigger cities is near impossible, but rural areas and most other states it’s really easy! If you use a GPS on your phone, there should be a setting in your maps to avoid tolls. This saves a lot of money if you’re traveling a lot, those tolls really add up! Learn to take care of smaller RV maintenance tasks yourself. It’s not always easy or fun, but this will save you so much money in the long run! Utilize Youtube, Google and RV forums to learn how to solve problems on your own. An RV repair shop is always expensive, and if you call out a mobile tech you’ll be paying even more! Some problems, of course, can’t be solved yourself and that’s just fine. But the majority of issues that arise with RVs are annoying little things that you can learn yourself with a little research. It’s only when it comes to propane, electricity or engines that I wouldn’t suggest going it alone. I have learned so much about RV plumbing, carpentry, tires, and generators than I ever cared to know. Not only have I saved a ton of money by doing almost everything myself, but I feel like a total badass. (Okay, my girlfriend helped, and the cats tried!) I now know that I am 100% capable of handling anything that comes my way. The biggest full time RV related cost for us is fuel. Especially in California! Omg. Learning to maximize your fuel efficiency is paramount when you are trying to save money while RVing. Maintain Accurate Tire Pressure. Calculating tire pressure for your RV is an exact science, and it’s very important that you get it correct. Under inflated tires can and do blow out, and no one wants a blowout while driving a house on wheels. If you’re unsure about this, consult with a truck tire professional. Things like your RV’s weight, axle and tire size all need to be taken into account here. It’s a very smart idea to use a Tire Pressure Monitoring System so that you know, at all times, what your tire pressure is. It will also alert you if the pressure rapidly changes while driving in effort to prevent a blow-out. Otherwise, check your tires with a tire pressure gauge before EVERY SINGLE TRIP and know when you need to add air. This is an essential money AND life-saving tip. Drive Slower. Maintaining speeds between 55-60 MPH on the highway with your RV will not only increase your fuel efficiency, it’s a lot safer. Drive with Empty Holding Tanks – the heavier your RV is, the more fuel you will use while driving. You can maximize your fuel efficiency by making sure all your holding tanks are empty during travel. Empty your gray water and black tanks before you leave, and only travel with the amount of fresh water that you need to get you to your next stop. If you’ll be boondocking with no hookups at your next stop, use an app like Allstays RV Dump, Sanidumps or even google to find somewhere to get fresh water near where you’ll be staying. You can even call a campground to use their dump station and fresh water – some will let you do it free, others will charge between $5-$30. Getting freshwater at your next stop won’t always be an option, so be sure to plan ahead if you want to drive with empty tanks. Use the Gas Buddy App. Gas Buddy is a free app that shows the prices of gas in whatever location you tell it to. You will find that gas prices are almost always higher on the highway, but a couple blocks into town may be 10 or 20 cents cheaper. When you’re getting 75 gallons of gas, that 10 or 20 cents really adds up! Check the Weather. Driving through a lot of wind – especially head on – uses up a lot more gas. If you can, plan your travel days when there isn’t wind in the forecast. Other ways you can maximize your fuel efficiency: coast when you can, like on downhill slopes. Don’t use cruise control going up hills, and Learn how to properly drive an RV through mountains! You’ll ALWAYS use more gas driving through mountains, but knowing how to drive through them properly will save you a bit. Tire Covers: Tire covers protect your tires from things like UV damage and dry rot. RV tires are expensive, think $600 PER TIRE or more. You want them to last as long as possible! Tire Pressure Monitoring System: This system will not only save you money on tires in the long run, it could save you from totaling your RV and it could also be life saving. Tire Pressure Monitoring Systems, or TPMS, plug into each tire and you have a monitor on your dash to know what your tire pressure and temperature is at all times when you’re driving. If the pressure or the heat skyrocket all of a sudden, your TPMS will alert you so you can pull over in an effort to prevent a blow-out. Air Compressor: Most newer Diesel engine RVs come with an air compressor on-board. Gassers and older RVs don’t have this, and finding an air pump that’s powerful enough for big RV tires can be difficult, especially out in the middle of nowhere. I remember once driving almost 250 miles to get to an air pump with one tire severely underinflated – all the ones we stopped at were out of order. That was a terrifying day! Having an air compressor on-board will save you from that terror and potential blow-outs. Tires will change pressure as you change climates and elevations, and you always need to keep them at whatever pressure is recommended for your RV. This Viair compressor is my favorite choice, and I dreamed about it for so long! The reasons why I like it are that it’s powerful – it’s made for RVs. It’s also a lot more compact than most air compressors – us RVers are usually pressed for space. Lastly, it doesn’t need to be plugged in to a regular outlet to work, it plugs in to your car or RV battery. RV Geeks did a Youtube Review of this compressor, check it out! Surge Protector: This little gadget may save your entire RV electrical system. A surge protector will protect you from shoddy campground electrical systems, surges in electrical storms and from connecting to a pedestal with an open ground. Our surge protector has saved us many times. It’s excellent insurance for our RV’s electrical system and I sleep a little better at night knowing we are protected from things like power surges and electrical fires from the pedestal. When choosing a surge protector, make sure you get the proper amperage for your RV. Our RV is a 30 amp – this is the surge protector we have. We also have a lock so it doesn’t get stolen. Water Pressure Regulator: Water pressure regulators range from about $8 to $80, and this is an essential RV accessory whether you’re trying to save money or not. Nobody wants to deal with busted plumbing, right? Campgrounds don’t regulate their water pressure, and the small pipes in RVs can only handle so much. If you aren’t using a water pressure regulator, you risk a plumbing explosion. Be smart, regulate that H2O flow. Water Filter: Like a pressure regulator, these things can be cheap to pretty expensive, but they are also necessary additions to your water setup. A water filter will make your water taste better and filter out sediment from the water sources you use. Sometimes there is a lot of sediment from campground water systems, and these can clog up your faucets and hot water heater, which can be a pretty expensive fix. Visit the local Chamber of Commerce or Tourist and VVisitorCenters in your new location. There are always free things to do and visit like museums, hiking and more! You can work or volunteer at a campground or location for a free or discounted rate on your spot. This is an ideal situation if you are going to be in that location longer than just a week or two. 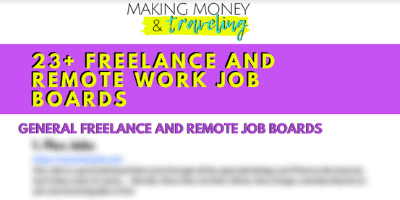 To learn more about workamping jobs, read this post! We have been and still are members of several different RVing clubs for several reasons – but the biggest reason of all is because of how much money these clubs have saved us! Passport America – My personal favorite and a true lifesaver, Passport America offers 50% discounts on over 1800 campgrounds across the US. The membership is around $40-50 for the ENTIRE YEAR. This club paid for itself the very first time we used it, the savings are insane! We use Passport America everywhere we go. Escapees – Escapees is so much more than just a discount club! We are members of Escapees and we use many of their services – Mail being the biggest one. Escapees partners with many campgrounds across the US where you can get discounts anywhere from 10-50% off your stay. Thousand Trails – We have been Thousand Trails members for over a year now, and I can’t even count how much we’ve saved with them. Really, I should have kept track! Thousand Trails has 5 “Zones” in the US with several campgrounds in each. You pay a yearly or monthly fee, and you can stay at these campgrounds for free or cheap. We pay around $50/mo and we get 14 nights free per year, then every night after that we pay around $4/night. If it sounds too good to be true – it isn’t! They are able to do this by also keeping their campgrounds open to the public at a high rate, and when you purchase a pass it’s usually a 2-4 year contract. Harvest Hosts – With a Harvest Hosts membership, you can enjoy overnight stays at Wineries, Farms, and other attractions. These are usually without hookups and just for short stays. Boondockers Welcome – This is a really cool membership! Boondockers Welcome connects RVers with Hosts all across the US. You simply search in the or location you want to go, and you can find hosts in the area who are offering up their yard, farm, driveway, etc. The length of stay is determined by the host, as is the size of RV that they can accommodate. It’s almost like Airbnb… For RVers! Good Sam – Good Sam is a really popular membership club for RVers that will give you discounts on campgrounds, services like insurance and even on gas and RV parts. Good Sam camping discounts are usually in the range of 10% off. Casino Camper – Casino Camper takes the searching off your list of responsibilities and compiles Casinos across the US that have free or cheap RV parking! You’ll be surprised at how many Casinos you can camp at for free – they just want you to come in and play in their Casino for a bit. This website was created by 2 full-time RVers! RV Golf Club – RV Golf Club has over 400 listings of golf clubs and resorts across the US where you can stay in your RV for free if you’re a member! You get discounts on Golf and food, free camping, beautiful views and uncrowded locations. Full-time RVing is a long-term lifestyle, so it’s imperative to get out of vacation mode! You don’t have to do all the things, see all the things and experience all the things all at once. Spread out your adventuring and spending – you’ll save a lot of money this way! Even if you’re just taking an RV Trip, spreading out your spending and adventuring is a good idea. 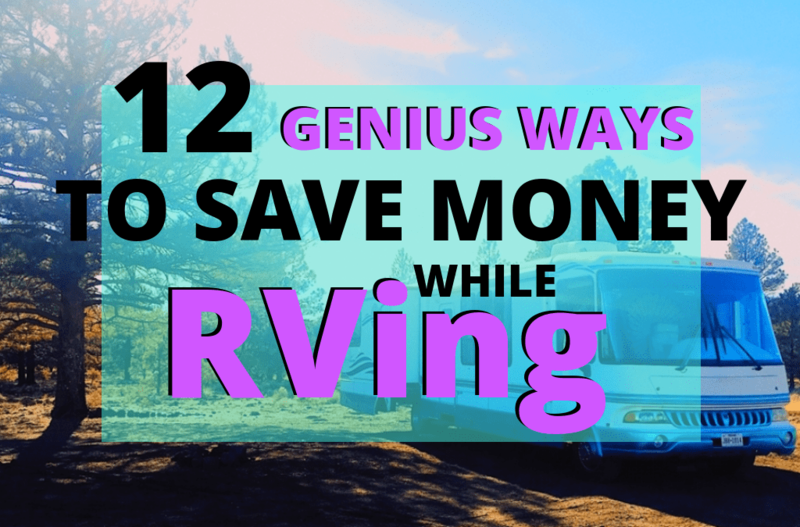 Not only will you save money while RVing this way, you’ll save a lot of energy, too. Utilizing any of these tips and tricks will help make RVing a really affordable lifestyle for you, maybe even cheaper than living in a home or apartment! I know it is that way for us, and there are almost unlimited ways to save money as an RVer. What are some of your favorite money saving tips for RVers? Did you like this article? Pin it for later or share it with your friends! 4, 5, 7, 8, and 9 are the strategies on this list that we employ. Another thing that surprisingly saved us the most money — sticking to a budget. We give ourselves an allowance each month for things like entertainment or dining out. When we hit that allowance, we don’t spend anymore that month on those categories. It has made us so mindful of our spending, that we are actually spending less in those areas. Yes! Budgeting! Can’t believe I didn’t include that in here! It really does make a difference when you have a system in place. What a helpful guide! I’m definitely bookmarking this to share with all the people I constantly see asking for this type of advice. Great post! RVing isn’t ALL about how much money we can make while RVing, but also about how little we spend sometimes! I’m pinning this one for later, for sure! Heck yeah! My favorite thing about this lifestyle is how little I spend on it, so I have extra money to pay off debts and invest! I do maximize my earnings as much as possible, but with no “rent” so to speak, we RVers have much more freedom with our income.